Sat., Oct. 8, 2016, 3:59 p.m.
Celene Olgeirsson was in her mid-40s before taking leave from being a nonhunter, bagging her first wild turkey in 2011. 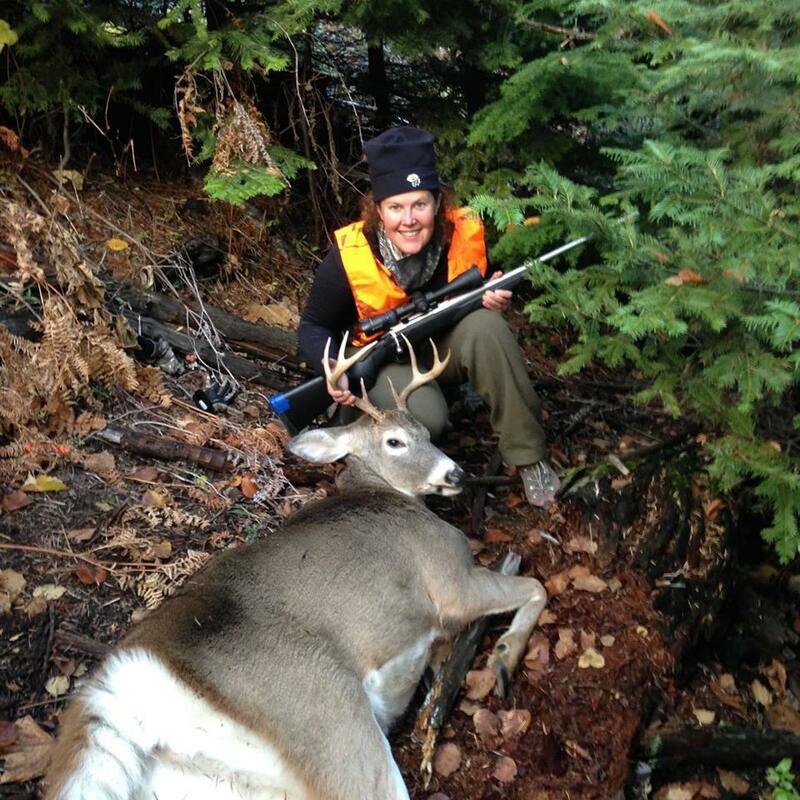 She gave deer hunting a shot for the first time working the woods with a man who tended to road hunt. He’d drive an ATV or vehicle, see a deer, park and hunt. She filled her first buck tag that way in 2013. She wasn’t yet familiar enough with hunting to know her style, but she sensed that wasn’t it. The hunt left her unfulfilled. “I like to move and use my legs,” said Olgeirsson, an avid whitewater kayaker and outdoor enthusiast who works for Avista. She was learning something every time out, though. She was steadily filling a void of knowledge that hunting families would have instilled in their kids at an early age. The rifle has a shorter stock and higher than normal comb that fits her build. “It’s enough gun to hunt elk with, too,” she said. But big game eluded her and her rifle in 2014. She looked at hunting as being “out there” and getting a good workout. Reading signs and learning where deer came and went was much of the fun. “I would go out by myself sometimes early in the pitch black of morning and crawl into a place that might be a good location,” she said. “Then I’d wait for daylight. As light gathered from the imminent sunrise, nature seemed to wake up. Birds and squirrels chipped and chattered. “Watching nature is fascinating,” she said, noting that a hunter seems to melt into the picture. Last year, she basked in nature without getting a deer in 10 days of hunting, including a couple of short midweek forays after work. When she got her chance, the littlest mistake almost blew it. The buck got nervous, but she recovered quickly and made a neck shot as it started to flee. “After gutting it, my friend Kevin and I dragged it down through the woods to an open logging road,” she said. It didn’t work out that way, and that’s not a bad thing. Going 1 for 2 gives her something to shoot for this year. And being a hunter, she has nothing to lose. Published: Oct. 8, 2016, 3:59 p.m.